A love for pen and paper can begin to be nurtured from when children are quite young. My own daughter has quite a collection of stationery she adores and we’re always on the look out for products that stand out from those in the mainstream stores – these bright beauties from Etsy fit the bill perfectly! Julien Martinez of Potok & Friends, creates each of these fun and quirky children’s notebooks by hand. 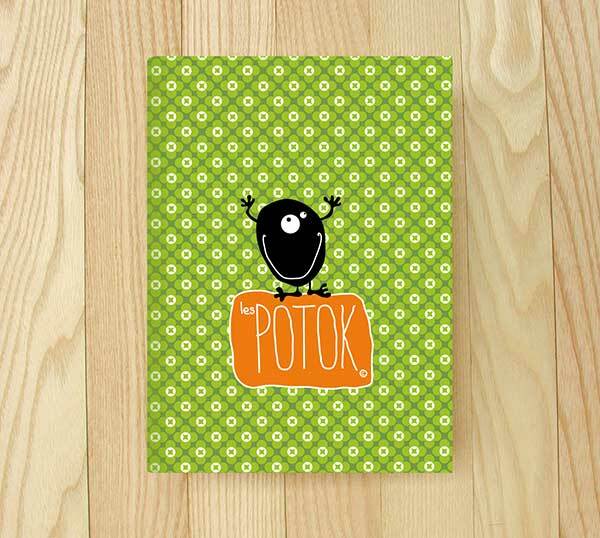 Potok & Friends notebooks have a durable, double sided printed cover and are filled with twenty-four sheets of quality recycled paper – all blank, perfect for learning and practicing letters, drawing or jotting down notes. Choices are plentiful with bold patterns and fun little characters from the Potok & Friends family gracing the covers! Notebooks are sold individually for $7.60 each or you can buy them in a three-pack for $20, available directly from Potok & Friends.